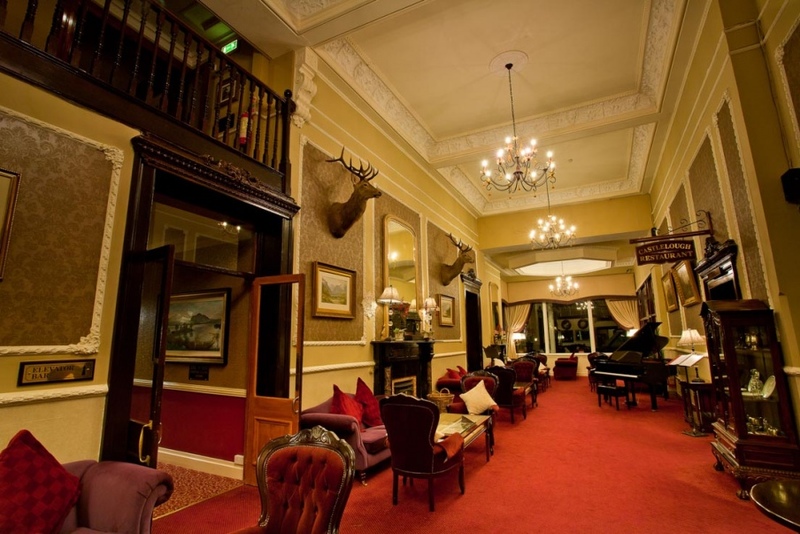 The Piano Lounge is part of the original hotel building dating back to 1820 and with its soaring ceilings, intricate stucco work, antique chandeliers and grand piano, it evokes a sense of the grandeur of times past. This is the room where the Grand Balls would have taken place and where, these days, it offers the perfect space to sit back and relax, ponder on your plans for the day, read the morning paper, meet up with friends in the afternoon or enjoy an aperitif or digestif in the evening. Mementos illustrating the history of the hotel, such as the monogrammed (personalized) crystal collection, the original Singer sewing machine, letters and notes from past guests from the 1800’s and 1900’s are on display in this warm and welcoming lounge. There is a menu available in the Piano Lounge daily from 10 am to 6 pm including the classic Afternoon Tea service. Non-residents are welcome. 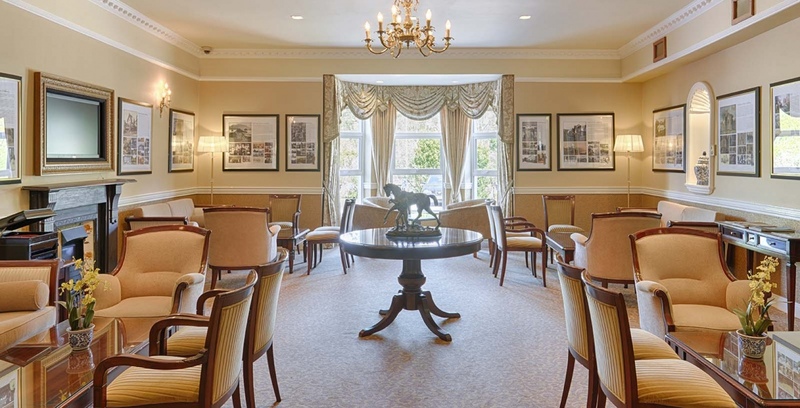 A peaceful and relaxing lounge for our residents, The Lough Lein Room, is a vibrant yellow toned room with ample space and is the perfect retreat for our guests as they study the crossword. 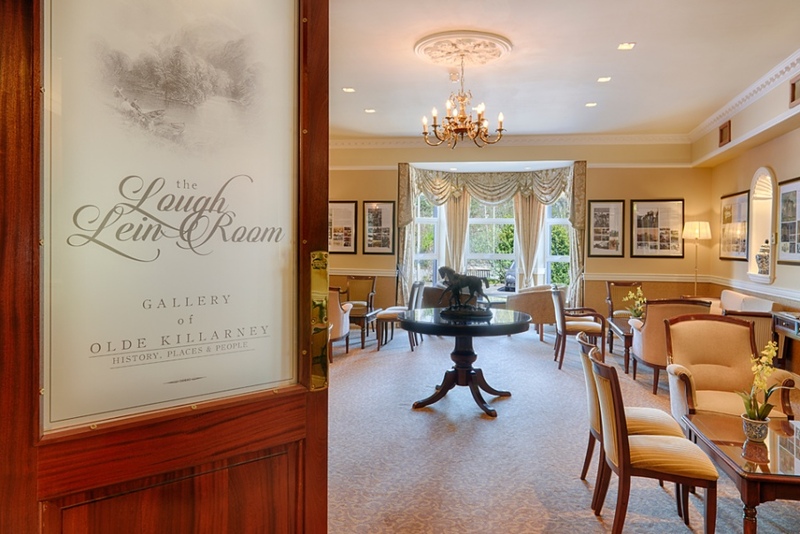 Just recently a new feature has been added to the Lough Lein room, a historical gallery of Killarney and the Lakes. A number of detailed panels adorn the room telling the stories of old Killarney and of course, The Lake Hotel.